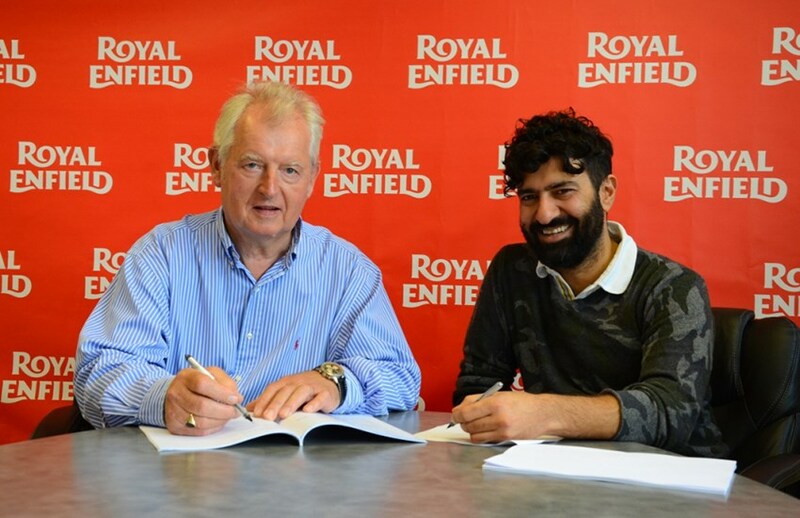 World record (to be confirmed by FIM) for Royal Enfield. 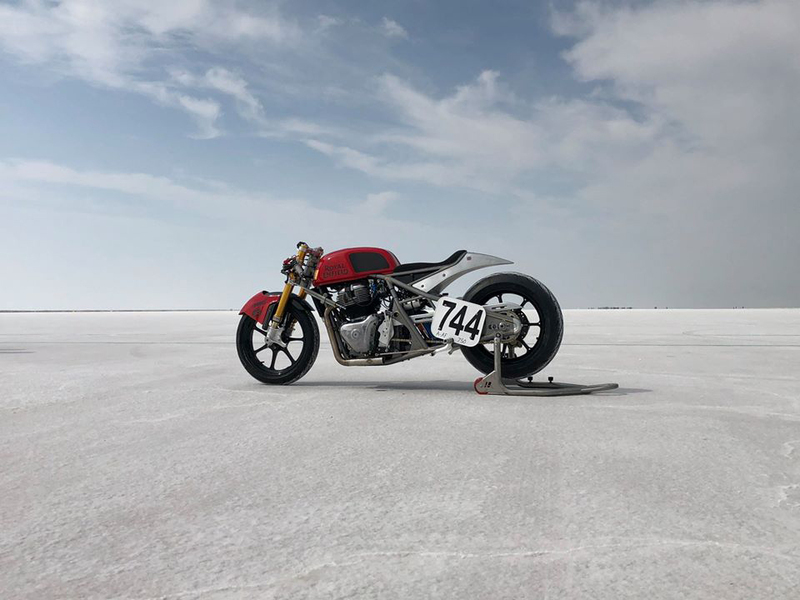 A drag sprint bike instigated by the Special Projects Team at the Bruntingthorpe, Royal Enfield Technical Centre recently captured a land speed record of approaching 160mph at the Bonneville Salt Flats. 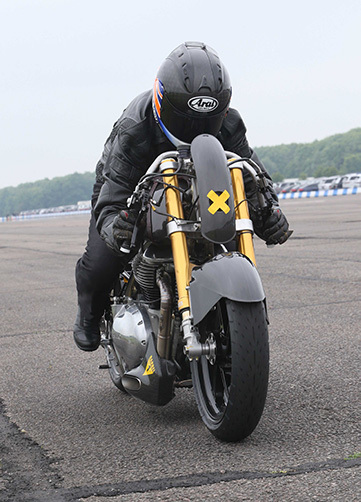 A production Royal Enfield 650cc twin engine prepared for the attempt by American master tuners S&S, housed in a chassis designed, developed and built by Harris Performance (a unit of Eicher Motors Ltd) and ridden by Cayla Rivas culminated in the World Land Speed record. 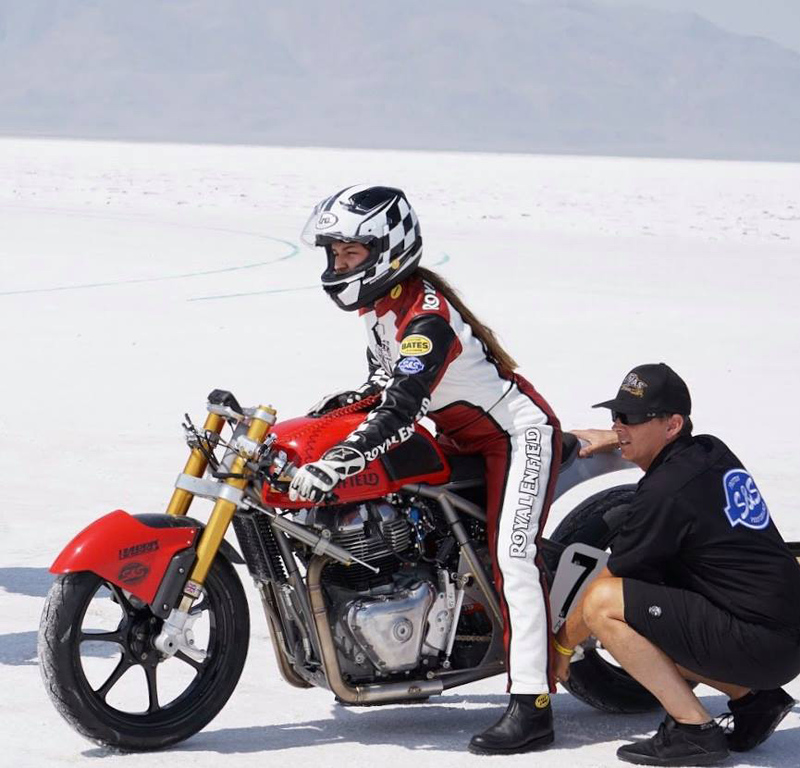 Conditions and “the salt” were perfect for the attempt, the S&S Royal Enfield engine ran like a dream, the chassis was stable and Cayla was on her game, the combination was a well-deserved world record. 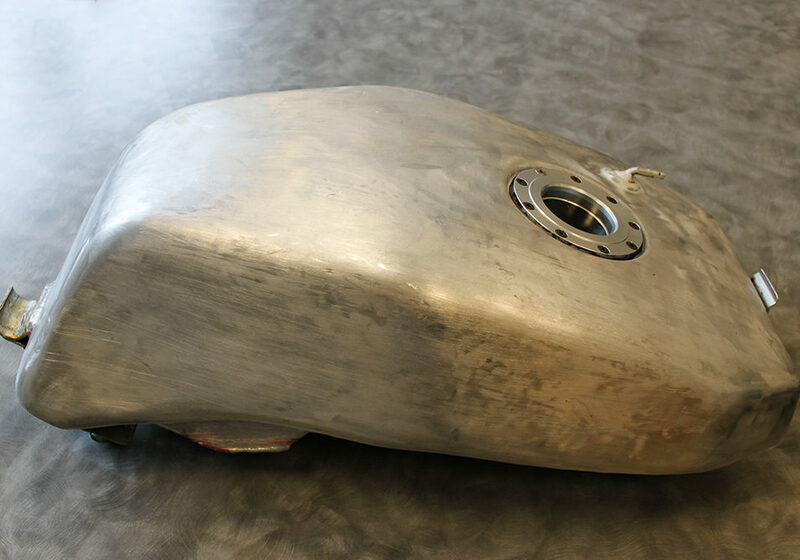 In addition to the production development work we undertake for Royal Enfield, we also get involved in some very surprising concept bikes. The drag bike shown here with Alan Cathcart aboard is a good example. 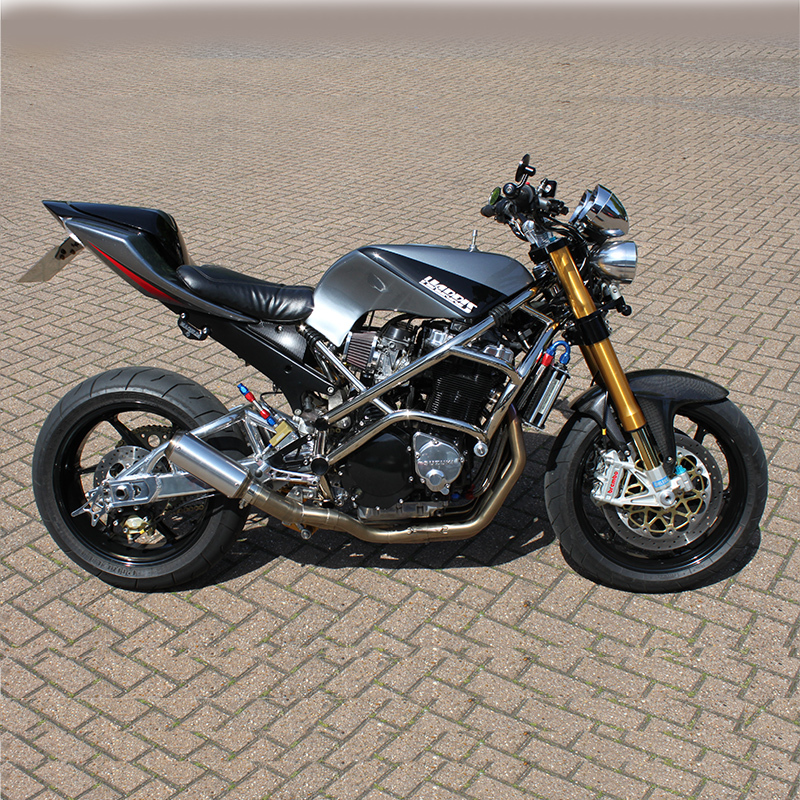 The design brief was to build a custom/show bike, using the new twin engine, that could also acquit itself well in a couple of European drag races. Mission accomplished we think. This is a beautiful example of a Harris Magnum 4 pictured here in the car park of the Hertford unit last week. 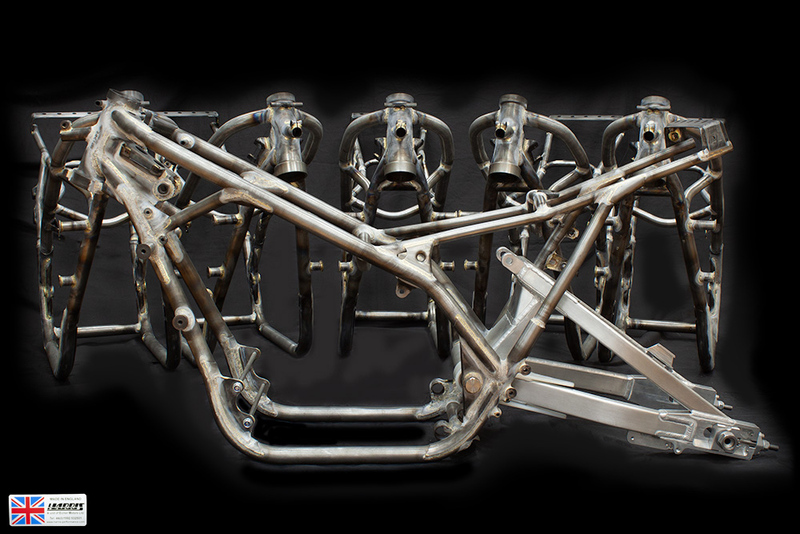 These iconic chassis kits are in still in great demand and still manufactured and supplied by Harris. This stunning example was built by our long term customer Danny Ollard. 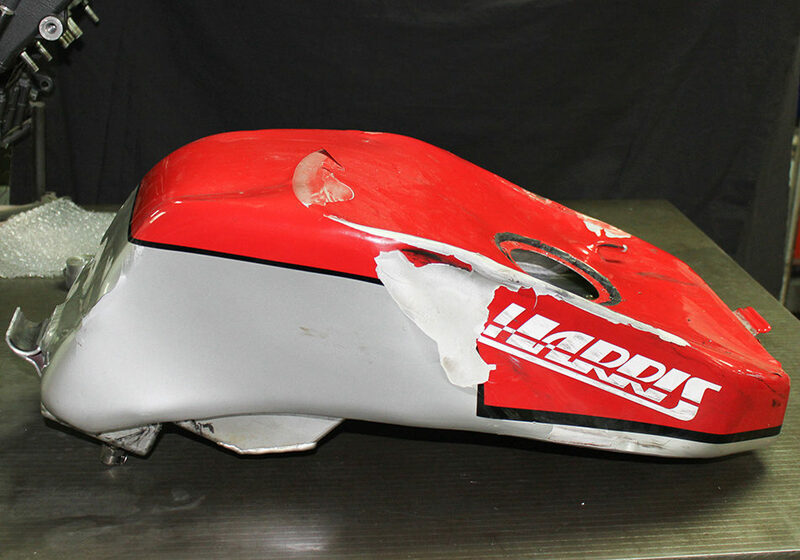 Contact Harris to discuss your ultimate super bike. Congratulations to Christian Hames and the Belgium Team Force for winning one of the toughest endurance races in the world, the ‘UK’s 4hr Classic Endurance Race’. Many of the riders are ex/still top of EWC, SBK, BSK, IRRC champions. This was held at Donington Park over the weekend of May 12-13th 2018. 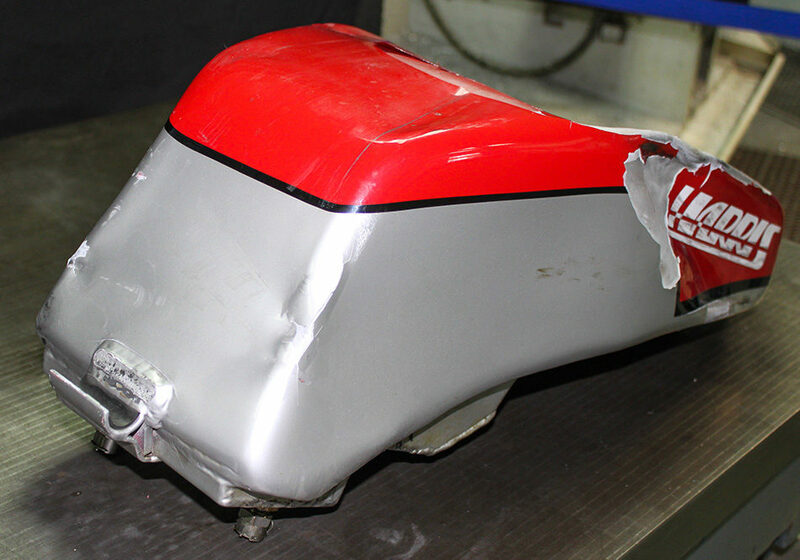 Following a misfortune of the Castellet, the motorcycle was rebuilt and Harris Performance’s technicians rebuilt the frame. 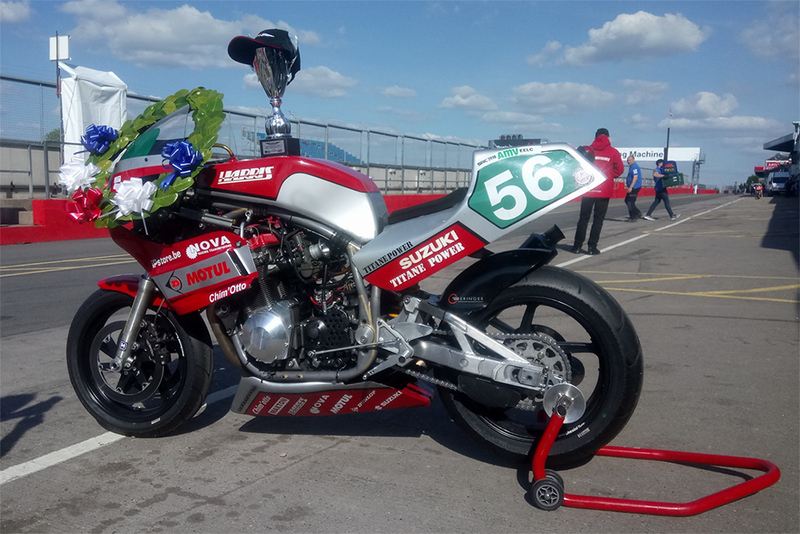 At the same Classic race event (Graham Veryard Racing, Harris TZ Yamaha), had superb race wins in their class. The sun shone on this Classic Event at Donington Park. All events were very well supported, well done everybody. Often new is not what you want or not available!!! 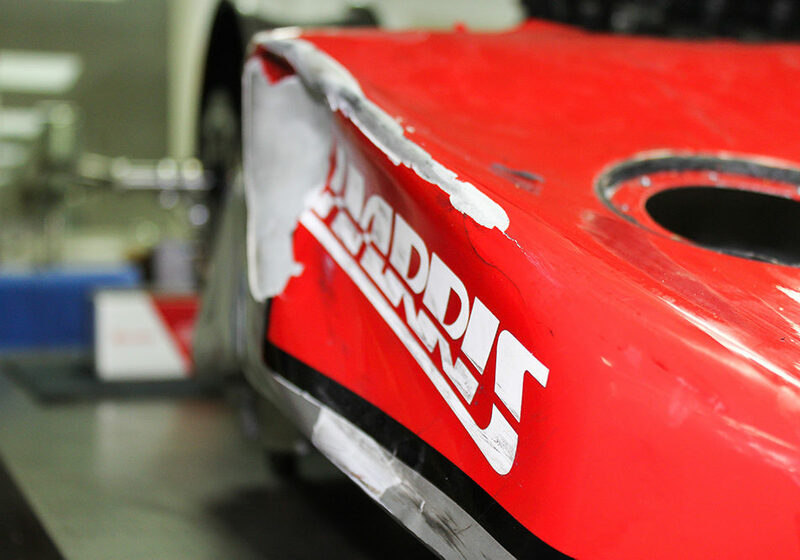 Accidents happen, things CAN be repaired/reclaimed……..What a relief. 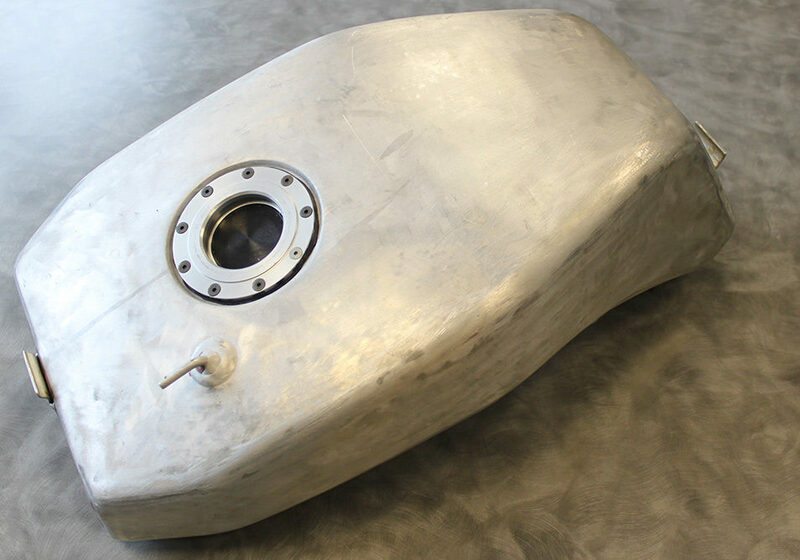 Take a look at what our engineers have done to reconstruct a customers aluminium fuel tank. 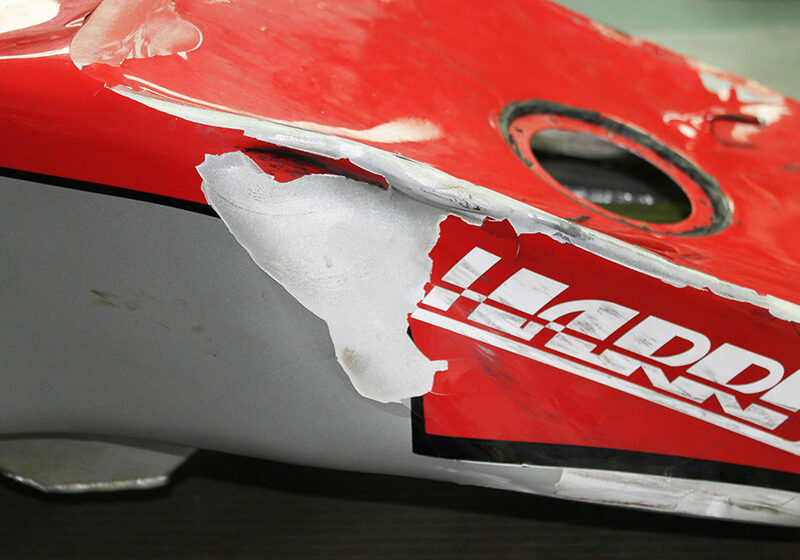 There was substantial damage as a consequence of a racing incident, due to lead time new was not an option. 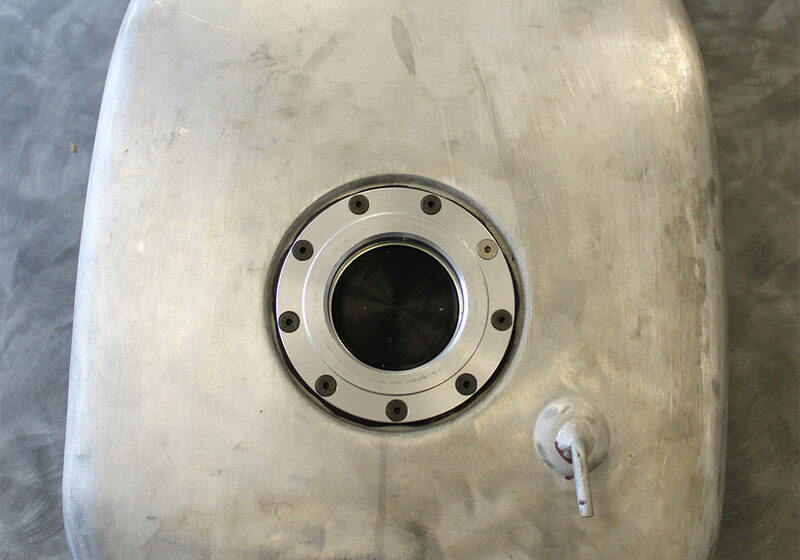 Our workshop has rebuilt the tank with great care, it is now ready for a new paint job. What craftsmanship! Introducing ordering for overseas customers. It is now possible to place an order for delivery to some countries overseas. Payment will not be taken until we have calculated the shipping costs for your order. We will let you know the total cost of your order, which you may accept or decline. If you accept the total cost/order, then we will give you your appropriate payment options. Delivery will take place once payment is received. If your country of residence is not listed, then please contact us to place your order. Delivery charges will be quoted according to your order requirements for that country. Online payment at time of placing the order is not available at the moment for outside of the United Kingdom, due to variable shipping costs. 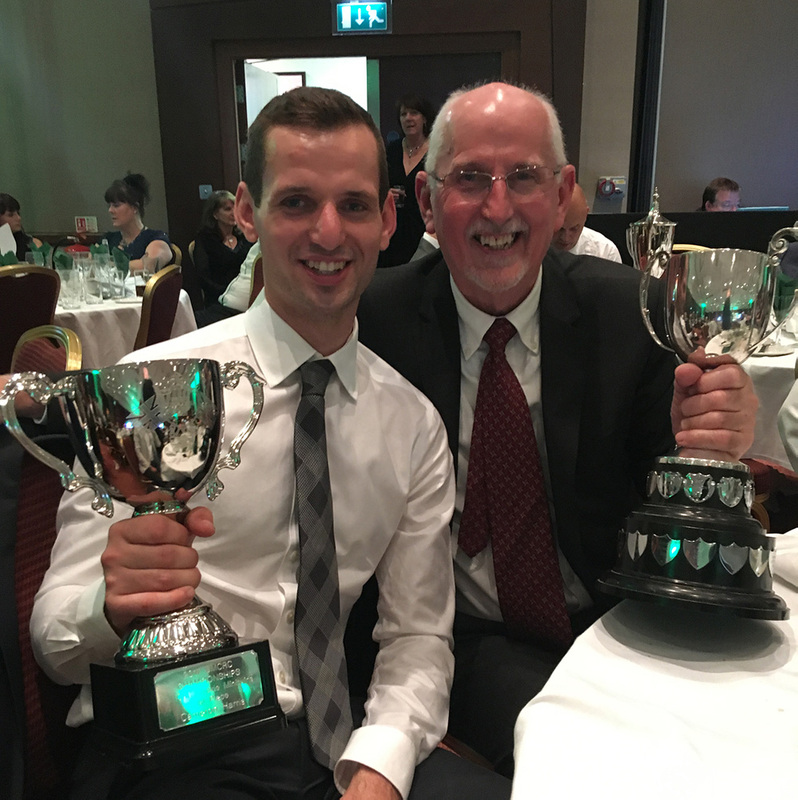 Following a successful year for Cameron Harris he was awarded the BMCRC Rookie Minitwins Champion cup at the 2017 BMCRC- MRO CHAMPIONSHIPS & ANNUAL AWARDS held at the Ashford International Hotel, Saturday 18th November. 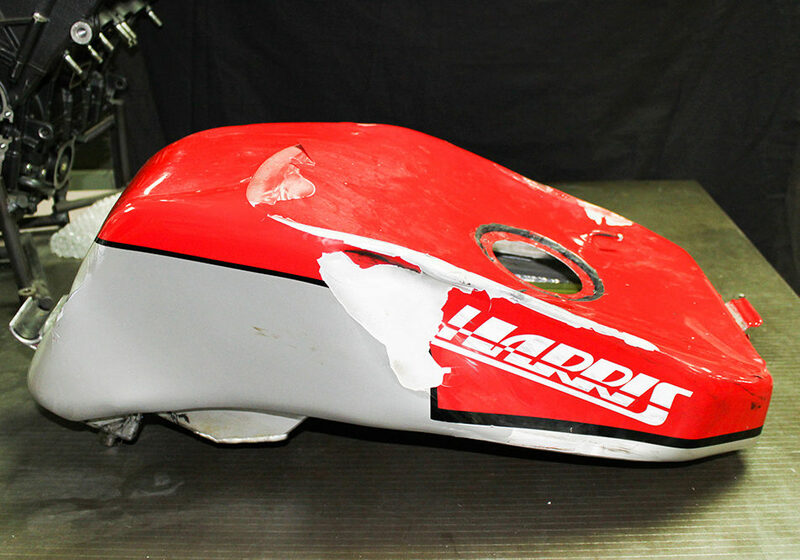 He was also awarded the BMCRC Best Newcomer to Racing – The 500cc Shield. Displaying the number 661 and the Harris Performance logos throughout the year, we wish him every success for 2018 and well done on your performance this year. We are pleased to announce the launch of our new upgraded website. On-line ordering is now available for UK orders. 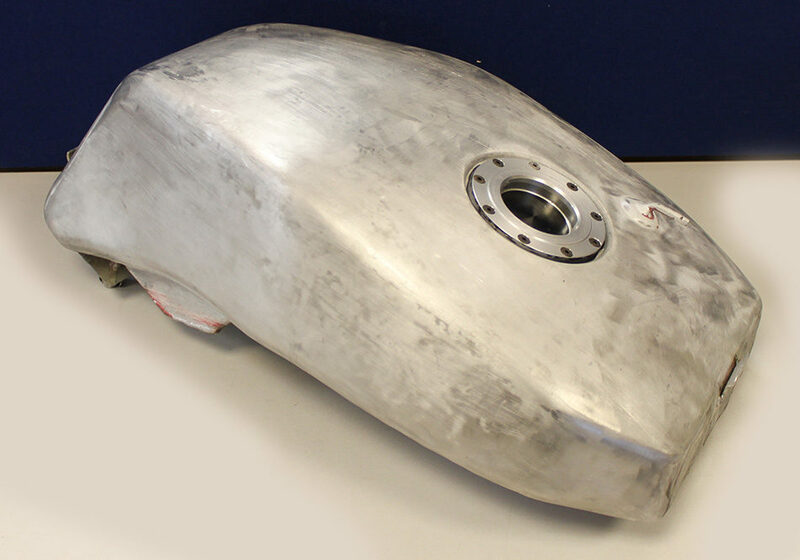 It has been announced today that Royal Enfield has acquired UK based, sports product specialist, Harris Performance.